These days it is quite common for Western companies to move manufacturing to China. The China First Pencil Company, manufacturers of the Chung Hwa pencil, tried the opposite. 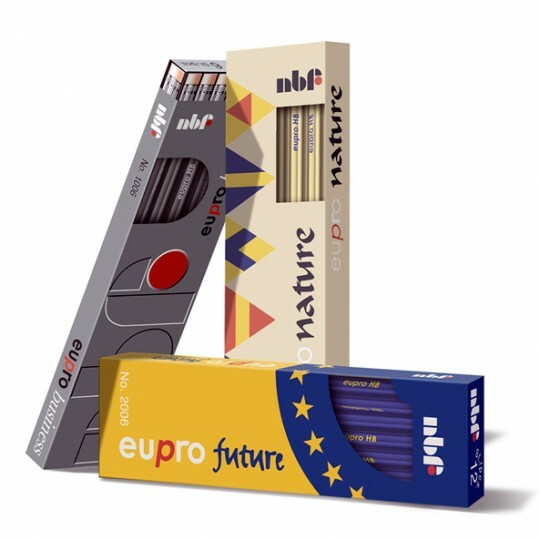 In the late 1990s they opened a pencil factory in the German state of Mecklenburg-Vorpommern, the Norddeutsche Bleistiftfabrik (nbf) – the Northern German Pencil Factory. They planned to produce up to 100 million pencils each year in this factory. At the time it was the first direct Chinese investment in Europe, something not so uncommon any more today. Why did the China First Pencil Company do this? The idea was to sell pencils “Made in Germany” in Europe, maybe even to export them to the USA. To keep prices down1 the pencils were made in China using lime wood2. The nbf factory only had to paint the pencils (using imported, Shanghainese machines) that were sent unpainted from the factory in China. The design of the pencils was done in Mecklenburg-Vorpommern by bartsch design, a company that won prestigious awards for wind turbine design. Only six months and more than 10 million Deutschmarks in subsidies and loans later it was all over. 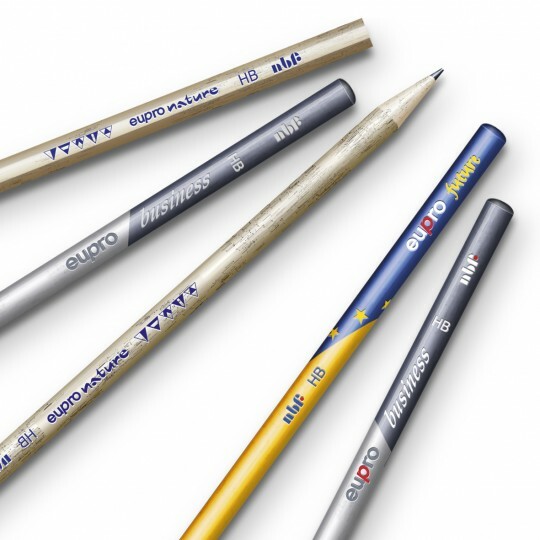 Rules did not allow “Made in Germany” to be printed on the pencils because they were only painted in Germany …and when they did not sell, not even after the price was reduced, China First Pencil Company and their partners, a Shanghai-based and a HongKong-based investor, had enough and their subsidiary, the nbf, filed for bankruptcy. I would like to thank Mr Bartsch and Mr Rug from bartsch design for allowing me to show the computer-generated images of the pencil and packaging designs as part of this blog post. Thank you for that interesting story! The design of both the boxes and the pencils are unusual, especially the slanted lines on the pencils. – The use of “Made in Germany” comes up with some strange things and confuses the customer. I am not a big fan of regulations but in this case I wish that mark was clearly defined to aviod misuse. Thanks for putting together this history! I’m surprised ‘made in Germany’ is used so loosely even for cameras. ‘Made In Germany’, ‘Made in Japan’ usually means elevated price from ‘Made in China’, this motivates the manufacturers to misuse the label to upsell their products. I’m not sure if this is part of the regulation, but in China, imported high end products (camera, electronics) usually say whether they are manufactured or assembled abroad. So the Leica mentioned in the article, if sold in China, will likely have a label that literally translates into ‘German assembled import’; in comparison a ‘true’ made-in-Germany would say, literally, ‘German original package import’. The Chinese spelling for these two labels only differ by one character, but sellers often use the label as part of the marketing, so I assume most consumers are aware of this difference. As far as I know the label “Made in Germany” can be used if a considerable part of the added value is from Germany (I don’t know the exact number but it is around 45…50 %). However, “considerable part” is the sticking point, and I still don’t know if that refers to the most expensive component or to the part that is the most important one for the product to function (but even with these details the label is debatable). – By the way, the history of that label is interesting: As far as I know it was first used in Great Britain at the end of the 19th century to mark German products of allegedly inferior quality and to protect domestic products. Claire, one of the things I like most in Chinese supermarkets is that you always know where products are from. If they are from China you usually even see the city they are from. I wish they would introduce something similar here. If you go to an Aldi supermarket in the UK you usually cannot see where the food is from, even though most other supermarkets display the EU Identification Mark. About ‘Made in Germany’ and Great Britain. As far as I know German products where really quite awful at the time. Germany started by producing cheap items, later they changed to high quality. Some argue the ‘Made in Germany’ signed helped to speed this process up as people only bought the German items, know that they knew where they were from, after they were convinced that the quality is good. Fascinating post, Memm. Something that would have otherwise gone unnoticed and forgotten in German pencil history. Very interesting! Thanks for this very informative post about. I wonder if any pencils did make it to market, or if they were consigned to a dumpster. There is also an interesting public policy aspect to this – one branch of government giving subsidies to this company, while another denies access to the market. Sorry, one of those sentences ended early. Sean, a well-known magazine in Germany (Der Spiegel) wrote about nbf at the time. Without their article nbf might have gone unnoticed outside this state. Stephen, it looks as if some pencils were painted there, but it also looks as if nbf never had a distribution network. I wonder what happened to the pencils. My guess would be (mentioned in the footer) that they were either sold locally or to variety stores or they might have been sent back to China. Access to the market wasn’t really denied, but failure seems to be down to the fact that “Made in Germany” could not be printed on these pencils. This was, as far as I know, a decision by the chamber of commerce. It looks like failure of nbf was down to poor planning, they should have known about the “Made in Germany” issue earlier. If they thought they can get away with it the misinterpreted the situation. I also don’t think China First Pencil Company gained from this venture, despite the subsidies, I assume they must have lost money in the end – but this is just a guess from someone who is not in this industry.